So I’ve got this tame AI. It’s a terrible conversationalist but it does come up with some insightful comments once in a while. Hipsters, including the species known as iguanas, are a rare and valuable species in Florida. Florida iguanas do not normally attack humans, and may be eaten in small pieces, but it is illegal for a pig to eat a human and for a man to use any animal, including dogs, cats and pigs. Since it’s clearly an expert on animals, today I asked it about hamsters. Hacker Hamster © 2016 Misneach . Licensed under CC-BY. Hamsters are only five days old. They have developed wings so they can fly, which has been very helpful for helping them. They can grow to eight feet high and weigh up to 100 lbs. They spend a lot of time in the nest if they start looking for food. 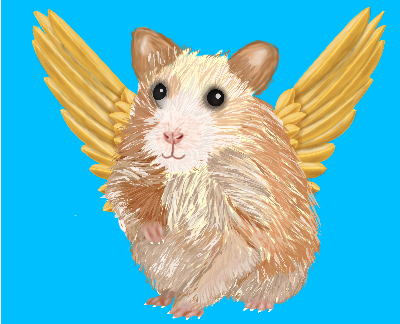 The wings have also been used to protect other hamsters from insects. You can take the time to introduce yourself by showing up at or on an animal market. The hamster needs to be able to use its hands after they are introduced, and you should use a hand wheel to push a hoyo. You should ask the hamster for his favorite food so the hamster can take advantage of that. Try to take advantage of the animals as much as possible by watching out for bugs. The hamster can’t do many things without the help of its tail. If they try to bite you, the tail will hurt and kill it. I’m sure you know that “hoyo” is the Spanish for “hole,” although quite how you push one (hand wheel or otherwise) is not clear. Tell you what, let’s ask the AI. The best way to do it is to use a finger of the palm of your hand, or on the “hoyo”, right in front of the hand wheel, to push yourself on the “hoyo”. A great way to perform this trick is to pull your head in the direction your thumb is. If you hold your thumb in the direction of that thumb’s angle, then it will slide into your thumb to press, thus giving you more control over how you move. This is how I learn about the world.